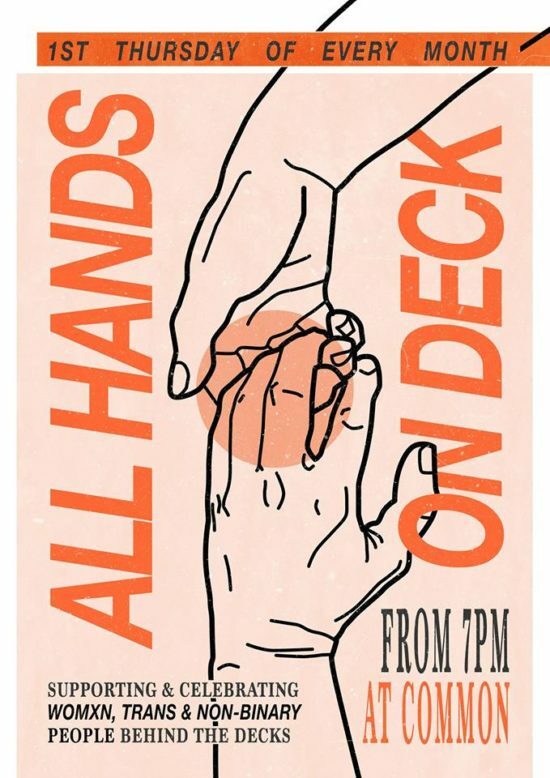 “All Hands On Deck are taking over the city! Come join us for a drink and a dance, as we celebrate womxn, non-binary and gender non-conforming DJs behind the decks on the first Thursday of every month at Common. Expect our first instalment of boops, bops and bangers on Thursday 7th February 2019 from 7pm until close! This is a proper celebration so great vibes are guaranteed. To top it off, Common has a selection of bangin bevs and scran so expect your body, mind and soul to be filled with delicious goodness!